Barracuda NG Firewall for AWS brings network security to your public cloud deployments. Connect remote VPCs, datacentres, offices and mobile workers while providing user and app-aware segmentation with strong access controls and full visibility of your network traffic. The Barracuda NG Firewall Virtual Appliance for Amazon Web Services allows customers to effectively protect their server infrastructures in the cloud. 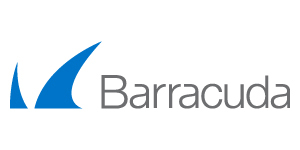 The Barracuda NG Firewall is an enterprise-grade next-generation firewall that was purpose-built for efficient deployment and operation within dispersed, highly dynamic, and security-critical network environments. Beyond its powerful network firewall, IPS, and VPN technologies, the Barracuda NG Firewall integrates a comprehensive set of next-generation firewall technologies, including comprehensive Application Control, availability, and traffic flow optimization across the wide area network, web filtering, antivirus, and network access control enforcement. Granular Traffic Control and Visibility: enterprise-grade firewalling allows segmentation and full visibility of network traffic within VPC and between locations based on application, static or dynamic ports, user identity and many others. Comprehensive Threat Protection: integrated IPS engine provides complete and comprehensive real-time network protection against a broad range of network threats. Protection is further enhanced with included antivirus and ATD scanning. Secure VPN Access: built-in state-of-art VPN engine combines multiple remote access and WAN opt technologies to offer optimized and secure access to cloud resources for office and mobile users using any type of devices.